Double Springs Ranch is one of central Idaho’s finest ranches and represents a marvelous blend of agricultural productivity and recreational appeal in a true “Big Sky” setting. The property features excellent residential and ranch improvements, high quality water resources, abundant big game, privacy and seclusion, and mountain views that are second to none. 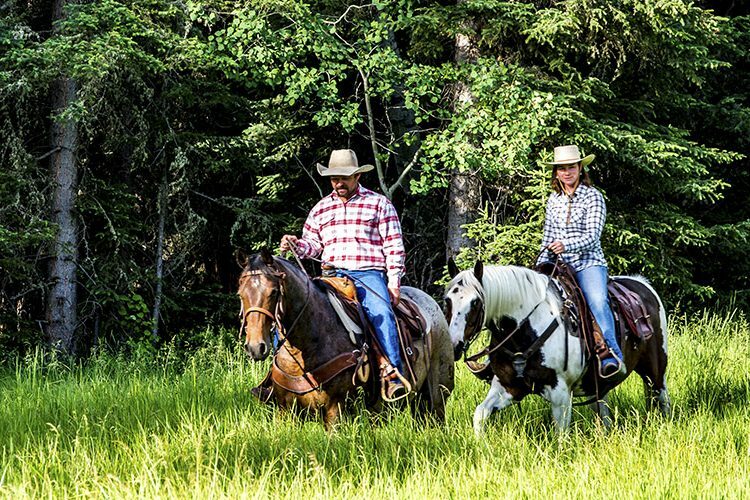 The 640± acre Double Springs Ranch is one of central Idaho’s premier properties. Located in the upper Pahsimeroi Valley 65 miles northeast of Sun Valley, the ranch is encircled by the majestic peaks of the Lemhi and Lost River ranges and surrounded by federal lands managed by the Bureau of Land Management (BLM). The ranch features a restored three bedroom, two bath ranch house tucked against the adjoining hillside and overlooking the property’s four interconnected trout ponds. The covered porch frames an extraordinary view and is a perfect spot to relax and watch the day begin and end. Additional improvements include a restored one bedroom, one bath guest cabin, six stall horse barn with tack room and ranch office on the first floor and four bedroom, two bath caretaker’s apartment on the second story, 7,500± sq. ft. shop and machine shed with bunk room, four bay equipment storage building, and four raised and covered big game blinds along the southern property boundary. Buried utilities service the ranch compound. The property features 537± acres of decreed surface water rights that are delivered via gravity flow from the spring source and applied using four center pivot sprinklers. The owner manages the ranch as a private label, grass-fed Angus beef operation and runs between 150 to 200 cows year-round through an intensive pasture rotation system. 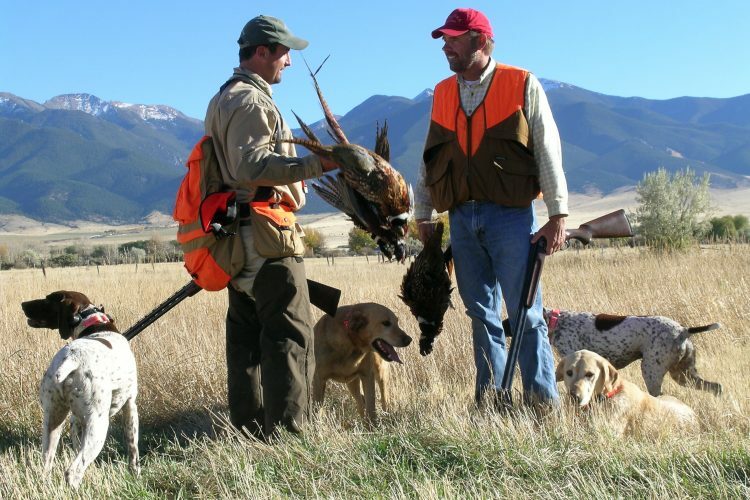 The ranch lies in the heart of some of Idaho’s best big game hunting with a large elk herd residing in the hills next to the ranch and qualifies for landowner preference tags for controlled hunts in unit 37. With high-quality public lands in every direction, the ranch is an excellent base from which to explore the area’s unspoiled backcountry and offers excellent hiking and trail riding right from the gate. The ranch is accessible all year and situated between Sun Valley and Jackson Hole, Wyoming, within easy reach of either community. Idaho Falls and its commercial airport lie approximately two hours southeast of the property, while Salt Lake City is located just over four hours to the south. Double Springs Ranch comprises a contiguous, square tract of land one mile in length from north to south and one mile east to west. The property is fully surrounded by federal lands managed by the BLM and lies just over a mile from the BLM’s boundary with the Salmon-Challis National Forest. The property is mostly level with elevations ranging from 6,634 feet at the main entrance on the north side of the ranch to 6,940 feet at the property’s southwest corner. The east side of the property is tucked against a long ridgeline that rises sharply from the valley floor and creates a protected “pocket” at the foot of the adjoining Lost River Range. As a result of this location, the ranch provides a sense of extreme privacy and seclusion. Building improvements along with the ranch’s four trout and wildlife ponds are thoughtfully located at the base of the ridgeline in the northeast corner of the property. From here, there are unobstructed views south and west across the ranch’s irrigated fields to an almost endless array of jagged granite peaks, including Mt. Borah, Idaho’s highest at 12,667 feet. These vistas are nothing less than awe-inspiring. Double Springs Ranch is located in the upper Pahsimeroi Valley approximately 20 miles south of the old town site of May, Idaho. May represents a loose collection of year-round cattle ranches and is also home to a state-owned 4,950-foot public runway with a turf surface. The town of Challis (population 900) is the county seat for Custer County and situated 50 miles northwest of the ranch. All general amenities and services can be found in Challis, including groceries, fuel, hardware supplies, and sporting goods. In addition, Challis offers a paved, lighted airport that is 4,600 feet in length at an elevation of 5,072 feet. A fixed-based operator, Middle Fork Aviation, serves the field, providing jet fuel and charter service. 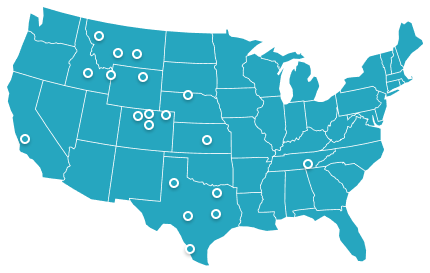 The well-known, year-round resort community of Ketchum/Sun Valley is 65 miles southwest of the ranch and offers the nearest commercial air service through Delta, United, and Alaska/Horizon Airlines. Principle access to the property is via the Double Springs Pass and Pahsimeroi Valley roads, which are graveled county roads linking the ranch with the greater valley and beyond. Estimated driving distances to major regional communities are as follows: Jackson Hole, 200 miles to the southeast; Idaho Falls, 135 miles to the southeast; Boise, 250 miles to the southwest; Salt Lake City, 310 miles to the south; and Missoula, Montana, 190 miles to the north. Double Springs Ranch lies within the upper Salmon River basin, an area renowned for its rugged mountain scenery, abundant fish and wildlife, exceptional public lands, and almost endless outdoor recreation opportunities. Three of Idaho’s high country landmarks are within striking distance of the ranch – the 2.3 million-acre Frank Church River of No Return Wilderness (the largest federally designated wilderness in the lower 48 states), the 756,000-acre Sawtooth National Recreation Area (considered by many as the “crown jewel of the USFS’s National Recreation Area system), and the recently created 275,000-acre Boulder-White Cloud Wilderness complex. Not to be outdone, the two mountain ranges flanking the Pahsimeroi Valley and dominating the views from the ranch – the Lemhi and Lost River Ranges – are Idaho’s highest and among the state’s most visually stunning. The Pahsimeroi River is one of the upper Salmon’s principle tributaries and home to some of the region’s most important spawning grounds for wild salmon and steelhead. The Pahsimeroi also provides vital irrigation water for the valley’s farms and ranches, many of which have been under family ownership for generations. The ranch lies in Custer County, which is among the state’s largest counties totaling nearly 5,000 square miles. Over 95 percent of the county is in federal and state ownership. Despite its size, Custer County is one of Idaho’s least populated counties with a current population of just over 4,200 residents. The recorded history of Custer County begins with fur traders and pathfinders traveling through the region as early as 1824, with prospectors and miners arriving in the 1860’s and 1870’s. Named for the General Custer mine, Custer County was established in 1881. The county’s principle industry is cattle ranching with livestock operations often stretching back multiple generations. The mining and timber industries have also played an important role over time. More recently, tourism and outdoor recreation have emerged as important components to the local economy by capitalizing on the area’s rich recreational resources. The climate for the Pahsimeroi Valley can be best described as semi-arid with an average humidity of only 30 percent and annual precipitation of less than 15 inches. Summers are warm with the temperatures occasionally reaching into the low 90s and cooling to the 50s at night. Winters are generally cold, with an average maximum daily temperature from November through March of 38 degrees and an average minimum temperature during the same period of 13 degrees. In 2005, the current owner donated a conservation easement to Wood River Land Trust over the property. The purpose of the easement is to protect habitat for elk, deer, pronghorn, sage grouse, raptors, wading birds, and waterfowl while offering flexibility to carry out agricultural activities and build additional dwellings and infrastructure improvements. A copy of the easement, along with a complete list of permitted and prohibited uses of the property, is available from Hall and Hall upon request. The ranch is wonderfully improved and set up for year-round mountain living. A restored three bedroom, two bath ranch house is tucked against the adjoining hillside and overlooks the property’s four interconnected trout ponds. The covered porch frames an extraordinary view and is a perfect spot to relax and watch the day begin and end. Additional improvements include a restored one bedroom, one bath guest cabin, six stall horse barn with tack room and ranch office on the first floor and four bedroom, two bath caretaker’s apartment on the second story, 7,500+/- sq. ft. shop and machine shed with bunk room, four bay equipment storage building, and four raised and covered big game blinds along the southern property boundary. Buried utilities service the ranch compound. One of the ranch’s strongest attributes is the quality and quantity of its water rights. The ranch holds five exclusive irrigation rights from Double Springs Creek, a year-round spring system located on BLM lands approximately one mile west of the property, to irrigate up to 557 acres. Water is fed by gravity and delivered to the property by a buried mainline. A single booster pump assists with pressurizing water for the southwest center pivot which operates at the ranch’s high point. The ranch also holds exclusive recreational water rights from Double Springs Creek for the purpose of filling and maintaining the four ponds on the property. 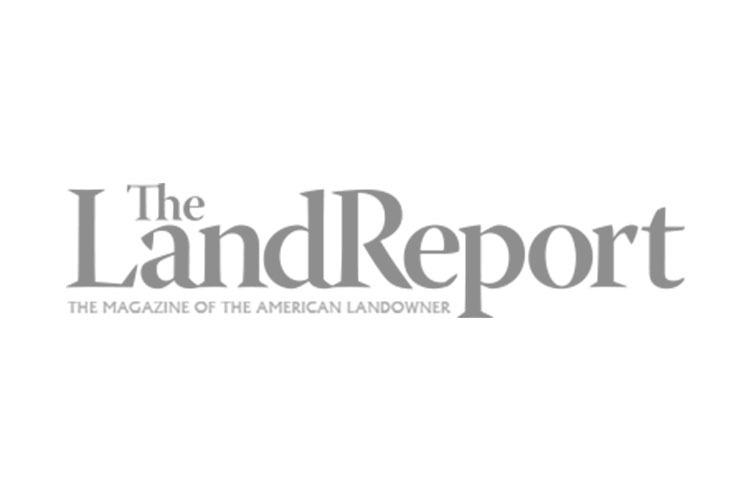 A complete list of associated water rights is available from the Broker upon request. All mineral and subsurface rights owned by the Seller will transfer to the new owner at closing. Annual Custer County property taxes are approximately $2,630. Ponds on the ranch hold rainbow trout eager to take a fly, while expanded trout fishing opportunities exist on nearby rivers and streams, including the Pahsimeroi River, Big Lost River, Salmon River, Summit Creek, Sawmill Creek and Wet Creek. In addition to stream fishing, the area offers over 100 alpine lakes, many of which are home to wild trout. Most of these mountain lakes are found at elevations between 9,000 and 10,500 feet and provide exceptional views as well as hiking and horse packing opportunities. Double Springs Ranch offers significant management flexibility and can be operated in a variety of ways based on one’s goals and objectives. 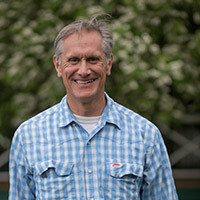 The current owner, who purchased the ranch in 2002, manages the ranch as a private label, grass-fed Angus beef operation and runs between 150 to 200 cows year-round through an intensive pasture rotation system. In a typical year, the ranch puts up its own winter feed. The property is perimeter fenced as well as configured into multiple fenced pastures, each with stock water. There are two sets of steel post working corrals. The ranch features 557± acres of decreed surface water rights that are delivered to the property by gravity through a buried mainline from Double Springs, a year-round spring system located on adjacent BLM land. Irrigation water is applied using four Valley center pivot sprinklers. Hand lines are also used to irrigate pivot corners.